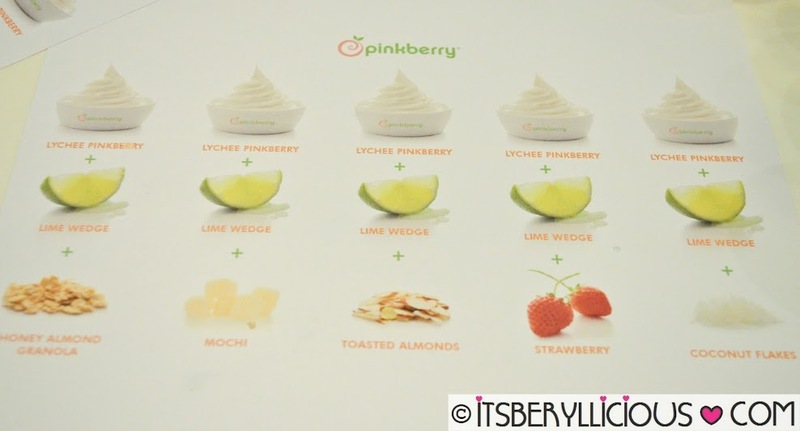 What can you do with a Lychee Pinkberry? Squeeze in some lime wedges and top it with your favorite toppings! 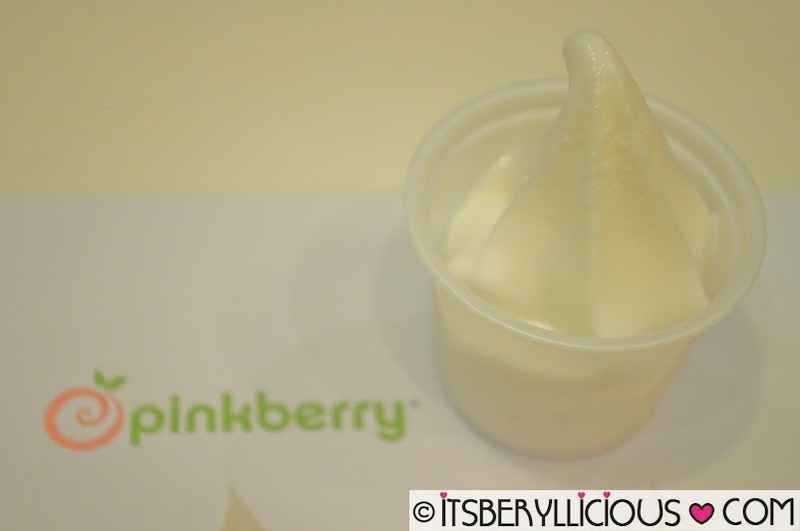 I was fortunate enough to sample Pinkberry's anniversary flavor last month which is the Pinkberry w/ Lime. It was a match made in heaven with the fruity sweet lychee yogurt, even more enhanced by the citrus tang from the lime wedges. My personal favorites were Toasted Almonds and Honey Almond Granola. 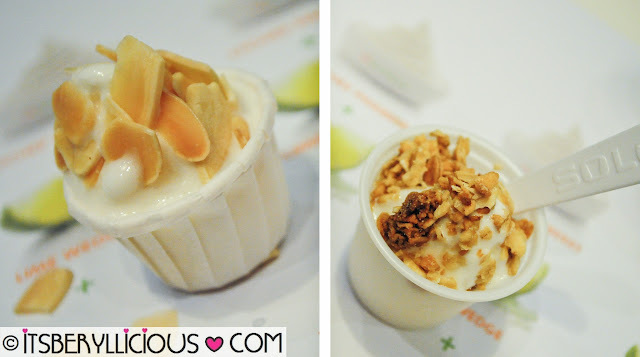 It gave a nice contrast of textures and nutty flavors to the frozen yogurt. 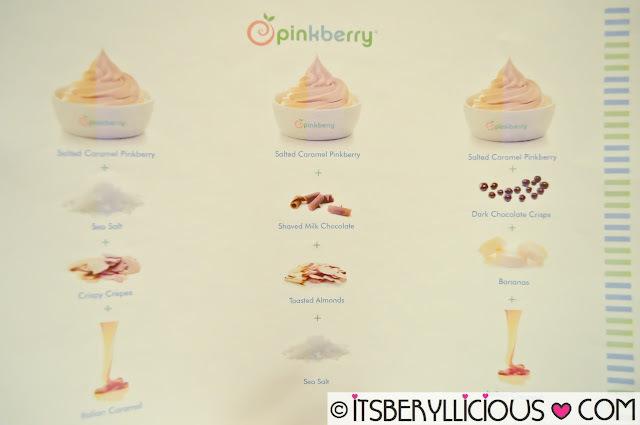 Aside from their anniversary flavor, Pinkberry recently launched their newest addition to their froyo selections- the Salted Caramel Pinkberry. 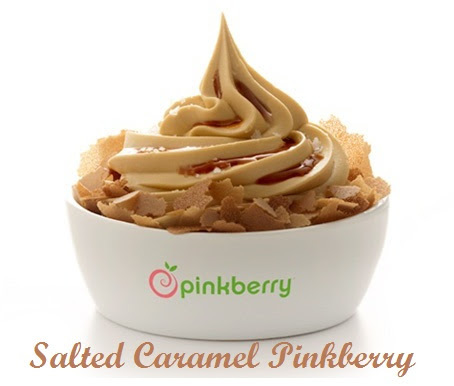 The perfect combination of sweet and salty, the Salted Caramel Pinkberry is made from the finest quality ingredients, expertly crafted for your complete indulgence. My favorite? 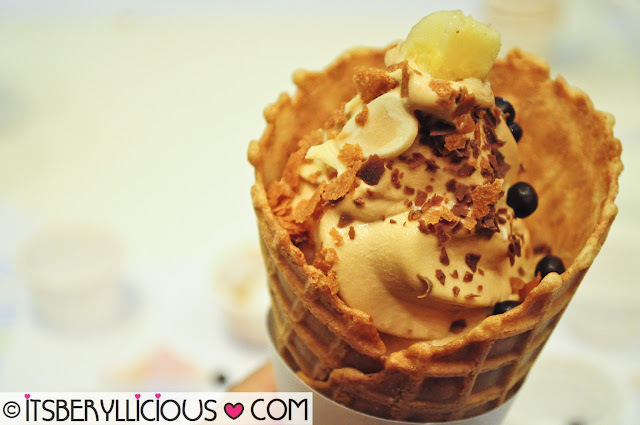 Having it in cone with an assortment of toppings like Toasted Almonds, Dark Chocolate Crisps, Crispy Crepes, Shaved Milk Chocolate and Banana. Aside from having it in cup or cone, Pinkberry also came up with a limited time menu item for their new flavor which is the Salted Caramel Shake. It may look too sweet for a drink but surprisingly, it was just the right blend. Made with 8 oz. 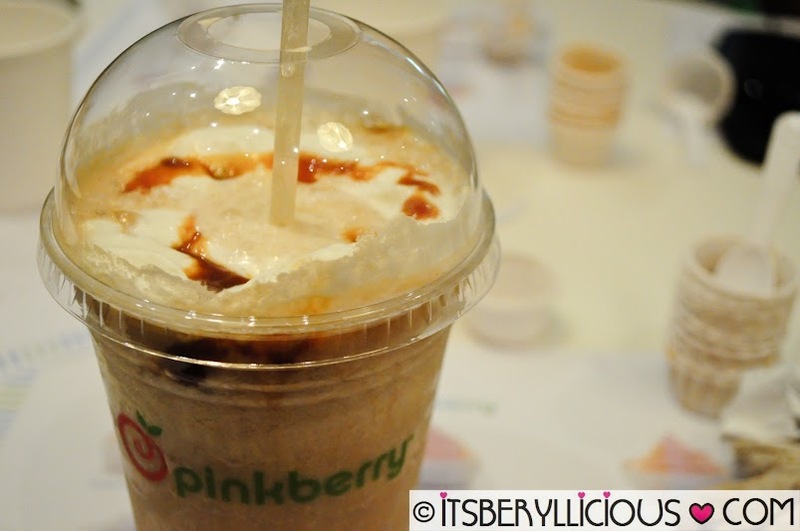 of Salted Caramel frozen yogurt and 6 oz. 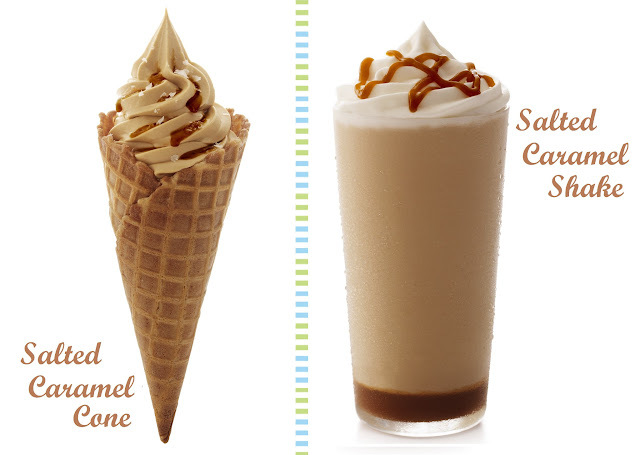 of non-fat milk, it has caramel at the bottom, and topped with some Swirly Whipped and Italian caramel syrup. Give in to that guilty indulgence! 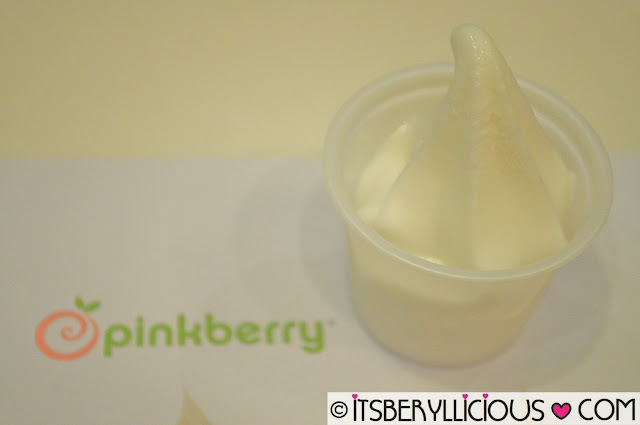 Looking forward to another visit to Pinkberry soon. 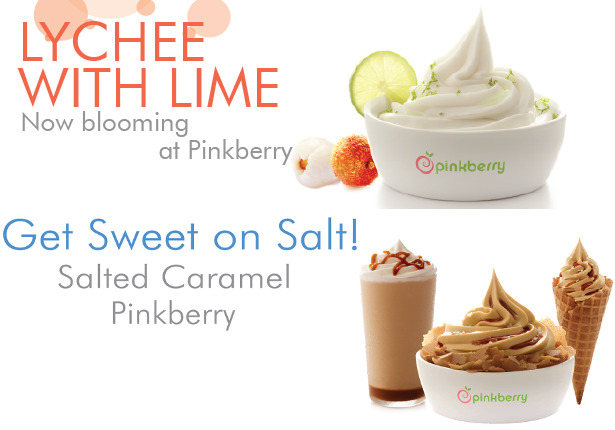 Can't wait to try their other flavors and of course, go back for their Lychee Pinkberry. 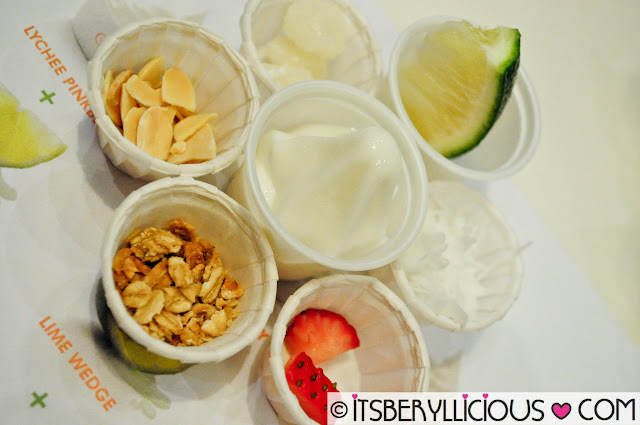 I am a fan of lychee, with or without the lime and toppings I think it would still please my palate. they all look good. 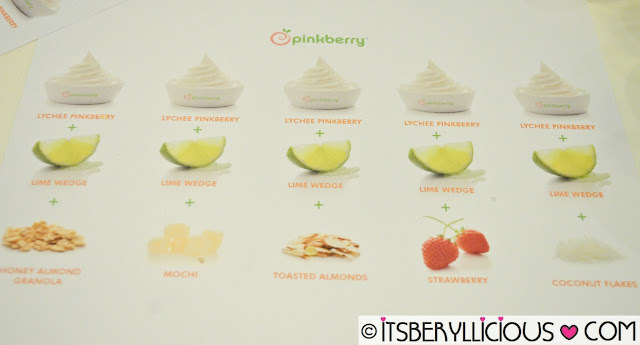 there is a Pinkberry at the mall in my town, but i havent tried their frozen yogurts yet. It is too cold now frozen yogurt anyway. i will probably try a flavor during the hot summer days.